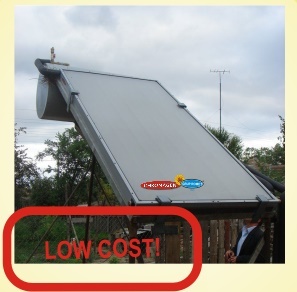 A thermosyphon system includes a solar collector and a storage tank, using natural circulation of water, without needing a pump or a control unit. All systems are supplied fully equipped, with accessories necessary for installation. The electric backup makes for the energy deficit during cloudy weather periods.